Make it a priority to reach out and 'touch' your customers and prospects at least once a month with permission-based marketing. Open rate for texts is much higher than that of email - so you can reach a broader audience while promoting daily specials or promotions! Email Marketing is a great way to stay in contact with your potential prospects or customers. It builds engagement, credibility and trust – as well as creates top-of-mind awareness for when they are ready to pull the trigger and make that purchasing decision. Similar to things you may blog about or share on social media channels, email & text marketing allows you to send messages to a more select and targeted audience and with specific material that they have opted into. You can send messages about industry news, current specials or promotions, and more! AGameSM can help you build your contact list; create a clean, branded email template for your email marketing campaigns; and manage your campaigns for you. With our email marketing campaigns, you’ll receive reports showing who is receiving and opening your emails; who is clicking on particular links from your emails; and who is ‘unsubscribing’ to them. This information is incredibly helpful in helping you identify who your interested prospects are, allowing you to market to them more effectively. 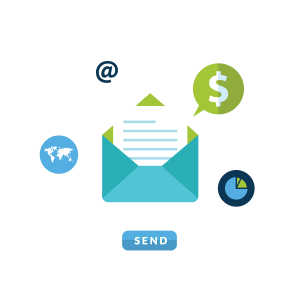 We use email marketing platforms that help keep us and our clients safe-listed and CAN-SPAM Compliant (and avoid stiff penalties). Although we’ve used a couple different platforms, our current favorite is MailChimp for our small to mid-sized clients. MailChimp is an email platform that integrates with many third-party applications including Facebook, Twitter, Instagram, SurveyMonkey, Eventbrite, WordPress and Google Analytics. 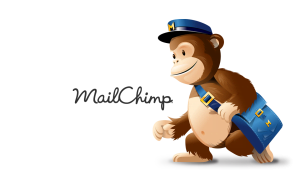 The best part about MailChimp is that it’s FREE for up to 2000 subscribers. Some of their features include: subscriber profiles, automation and personalization tools, advanced analytics and flexible design options. We’ve also used Constant Contact and iContact. These are also rated very well. Have you ever been asked to text a “keyword” to a certain number to enter a contest or receive specials and promotions? 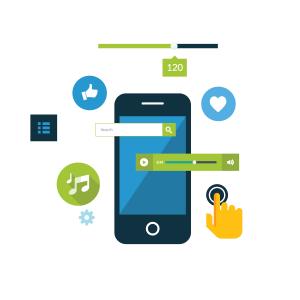 That is text marketing and is highly effective with an extremely high ‘open-rate.’ You can request consumers or prospects text you and they will then automatically be on your text marketing list – able to Opt Out at any time. This is a great marketing tool to send reminders of upcoming events, discounts or other promotions. Text marketing is very useful in the restaurant industry, as well as retail establishments.